Convenient to have on the go, whether that’s in your car, gym bag, or at your desk— our bar has been made to meet your training goals. When to enjoy the All-In-One Perform Bar? What to enjoy an All-In-One Perform Bar with? To make sure you’re getting the right amount of protein per day, complement your snack with Impact Whey Protein — Europe’s number one selling whey protein. Warning: Excessive consumption may cause laxative effects. 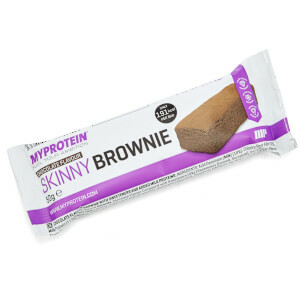 This product should not be used as a substitute for a varied diet. Consume as part of a balanced diet and a healthy lifestyle. Store in a cool dry place, out of direct sunlight. 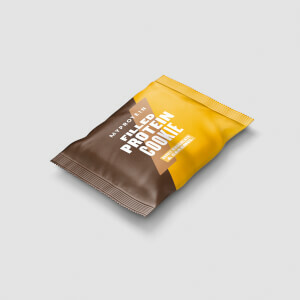 Protein Blend (Milk Protein Isolate, Hydrolysed Gelatine, Whey Protein Concentrate (Milk), Soya Protein Isolate), Dark Chocolate Couverture (13%) (Sugar, Cocoa Mass, Cocoa Butter, Emulsifier: Soya Lecithin, Flavouring), Humectant (Glycerine), Orange Fudge Style Icing (11%) (Sugar, Vegetable Fat (Palm Oil), Glucose Syrup, Water, Skimmed Milk Powder, Natural Orange Flavour, Salt, Emulsifier: E472c, Preservative: E202, Thickener: E401, Colours: E160a, E120), Fructo-Oligosaccharide, Creatine Monohydrate, Partially Inverted Sugar Syrup, L-Glutamine, Fat Reduced Cocoa Powder, Flavourings, L-Leucine, Sunflower Oil, Antioxidant (Mixed Tochopherols). This bar is awesome! It tastes very similar to a Jaffa cake or chocolate orange dessert which is fab! The texture is like having chocolate coated nougat, really nice and easy to eat!